It was 3.30pm on a Saturday afternoon when we started setting up our booth for Pink Dot. 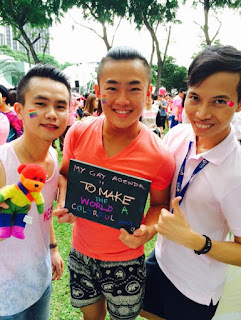 Even though the event wasn't due to start for another hour or so, Hong Lim Park was already littered with people in pink milling around in search of the best spots for themselves. Here at SGRainbow, we had a mission: to undercut the misguided notion that the community had some insidious agenda to pervert our society. 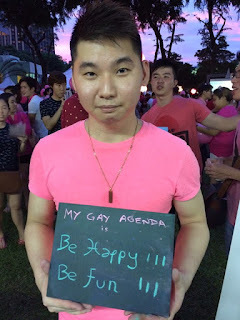 Through #thegayagenda photo project, we would prove that the fabled gay agenda was a myth; that we wanted nothing more than to love and be loved in return. We had a lesson to teach, or so we thought. Instead, as with any good lesson, the teacher soon became the student. The responses were rather general at first: freedom to love; equality for everyone; gay marriage. And then they started getting personal: feeling comfortable enough to show my face in this picture; to let people know it's okay to be themselves; to hold my boyfriend in public like a normal couple. We soon learned that one did not have to look far to see love in its many shapes and forms. 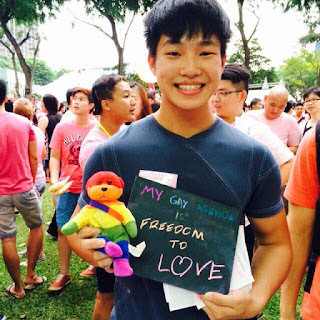 From the heterosexual man and his lovely transgender wife, to the mature gay couple with their beautiful son; from the lesbian girl too shy to be photographed and her gorgeous girlfriend standing in her stead, to the straight girl enquiring about SGRainbow for her gay best friend, we saw that it was precisely love that had punctuated the air at this year's Pink Dot. This year's theme "Where Love Lives" is a significant one; as we move forward from 13th June, we must continue to walk the talk in our daily lives. 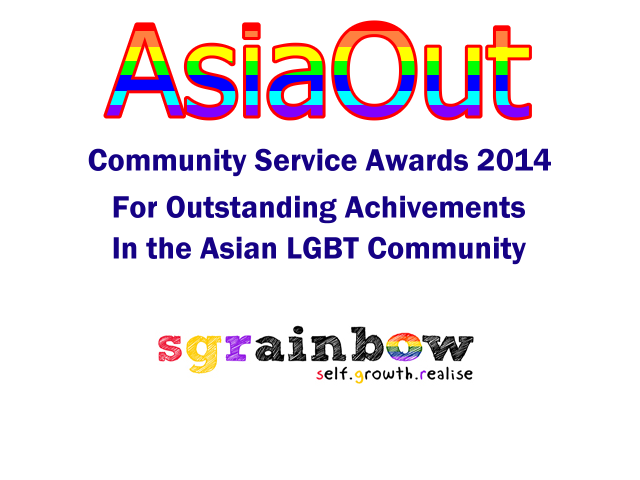 As SGRainbow continues to grow, it is love and acceptance that we will continue to infuse our activities with, so that every gay individual we have the pleasure of meeting can find, through us, a place where love lives. Photos from #thegayagenda photo project are available on our Facebook page. Click here to view them. A montage of the photos will be uploaded soon. Look out for it!